Small Beer Press, 9781931520614, 302pp. Selected as one of the Best Books of the Year in science fiction and fantasy by Amazon.com. Delving deeper into the genre-spanning territory explored in Interfictions, the Interstitial Arts Foundation's first groundbreaking anthology, Interfictions 2 showcases twenty-one original and innovative writers. It includes contributions from authors from six countries, including the United States, Poland, Norway, Australia, France, and Great Britain. Newcomers such as Alaya Dawn Johnson, Theodora Goss, and Alan DeNiro rub shoulders with established visionaries such as Jeffrey Ford (The Drowned Life), Brian Francis Slattery (Liberation), Nin Andrews (The Book of Orgasms), and M. Rickert (Map of Dreams). Also featured are works by Will Ludwigsen, Cecil Castellucci, Ray Vukcevich, Carlos Hernandez, Lavie Tidhar, Elizabeth Ziemska, Peter M. Ball, Camilla Bruce, Amelia Beamer, William Alexander, Shira Lipkin, Lionel Davoust, Stephanie Shaw, and David J. Schwartz. Colleen Mondor, of the well-known blog Chasing Ray, interviews the editors for the afterword. Henry Jenkins, ex-director of MIT's Comparative Media Studies program and now a member of USC's Annenberg School for Communication and School of Cinematic Arts, provides a fantastic introduction sure to set readers' imaginations alight. 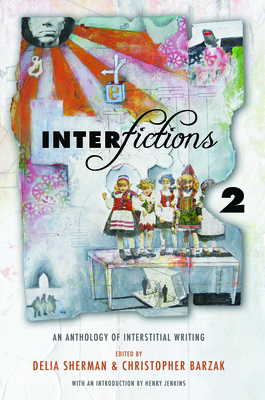 Interfictions 2 is here and ready to be read, discussed, taught, blogged, taken apart, and re-interpreted. Delia Sherman was born in Tokyo, Japan, and brought up in New York City. She earned a PhD in Renaissance Studies at Brown University and taught at Boston University and Northeastern University. She is the author of the novels Through a Brazen Mirror, The Porcelain Dove, Changeling, and The Magic Mirror of the Mermaid Queen. A co-founder of the Interstitial Arts Foundation, she lives in New York City. Christopher Barzak is the author of the novels One for Sorrow and The Love We Share Without Knowing. His stories have appeared in Nerve.com, Pindeldyboz, Strange Horizons, Descant, and the first volume of Interfictions. He teaches writing at Youngstown State University. Delia Sherman was born in Tokyo, Japan and brought up in New York City. She earned a Ph.D. in Renaissance Studies at Brown University and taught at Boston University and Northeastern. She is the author of the novels Through a Brazen Mirror, The Porcelain Dove (Mythopoeic Award winner), Changeling, and The Magic Mirror of the Mermaid Queen. Christopher Barzak is the author of two novels, One for Sorrow and The Love We Share Without Knowing. His stories have appeared in Nerve.com, Pindeldyboz, Strange Horizons, Descant, and the first volume of Interfictions. He teaches writing at Youngstown State University.